Redstar Equipment introduces a new range of diesel engine drive welders from Denyo featuring a compact design. 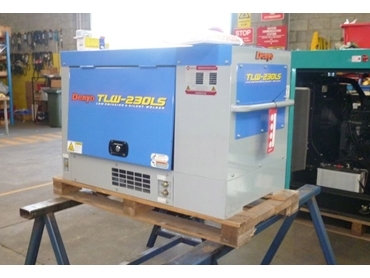 The new Denyo TLW230LS diesel welders are ideal for contractors or maintenance operators and offer 5kVA of clean AC power delivered via Denyo’s AVR controlled alternator and 230 amps of stable welding current. One of the smallest water cooled diesel welders on the market today, the Denyo TLW230LS offers user-friendly operation. Combined with Japanese build quality, the Denyo TLW230LS diesel welders provide a reliable source of welding and auxiliary power in one small package.